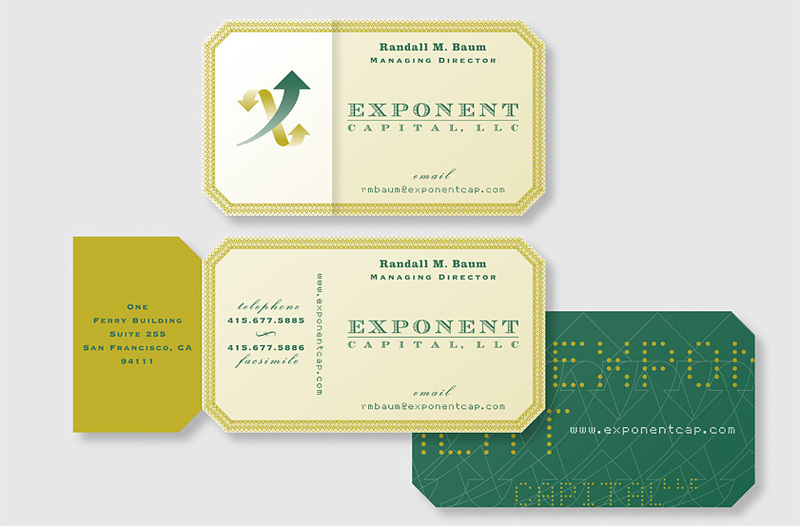 Exponent Capital is a directional investment fund focusing upon an innovative multi-strategy approach. 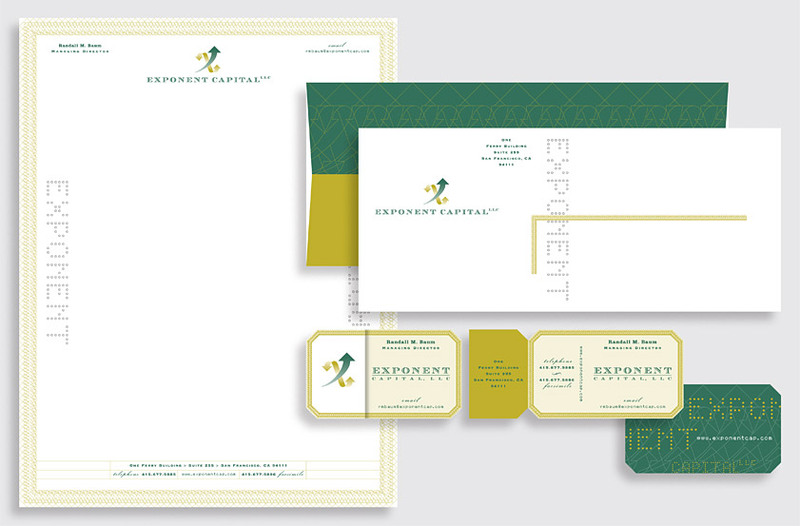 The company logo uses directional arrows to create the variable “x,” with a strong upward arrow to symbolize the firm’s goal of rewarding investors in both up and down markets. Our solution uses a finely engraved logotype to represent a company grounded in traditional financial principles, while the lasercut “stock ticker” digital lettering conveys a commitment to high technology investment strategies. The outline version of the logo creates a unique stock certificate border used throughout the system. The business card flap opens to reveal the person’s full contact information.